July 25, 2012- Dusk on the midway. 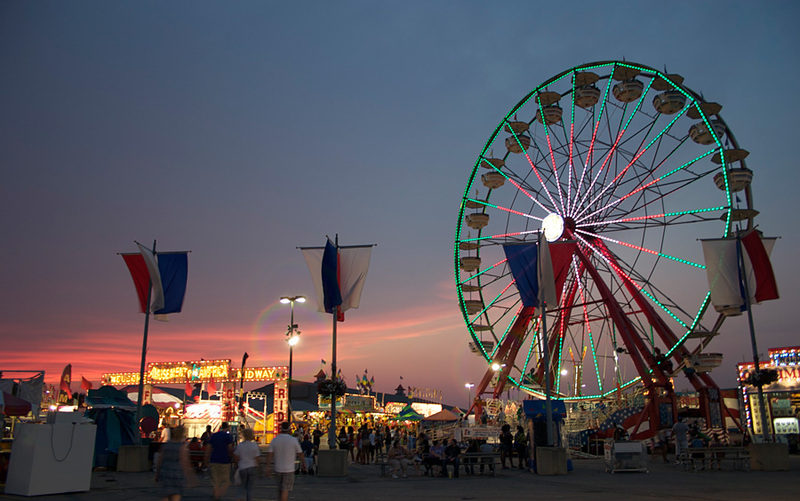 Opening Day of the 159th Ohio State Fair. 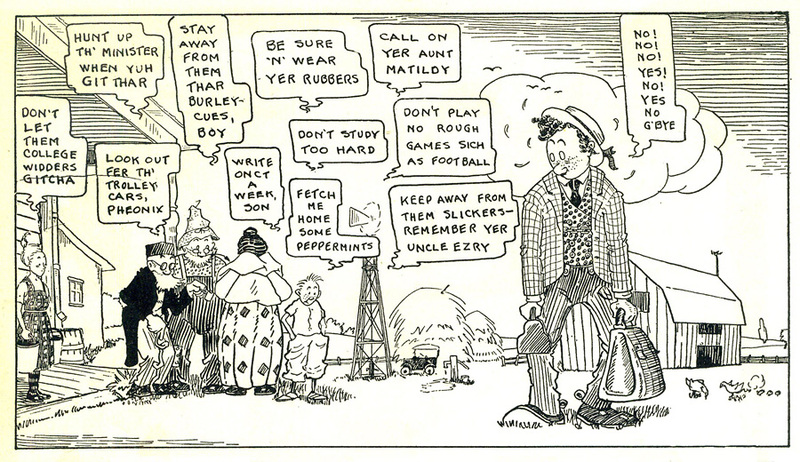 Postcard sent January 29, 1929 by Beatrice, a Mack Hall resident, to her sister back in Pike County, Ohio. More about this here. 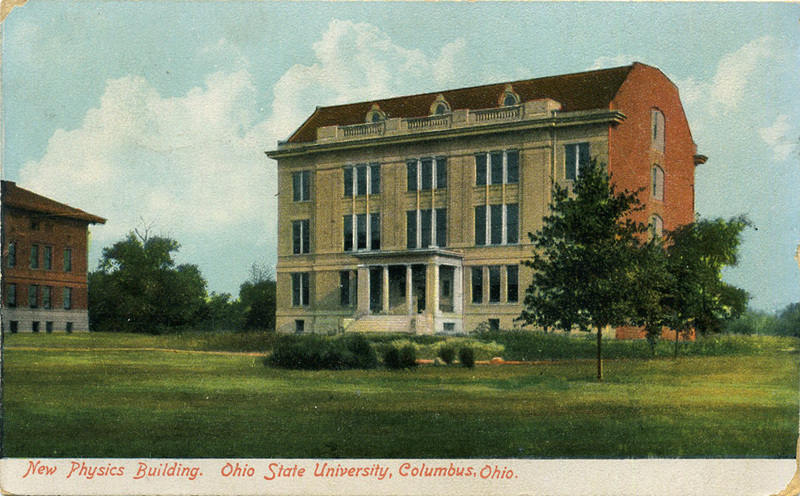 C. 1906 view of Physics Building (now Mendenhall Lab) on the Ohio State University campus. 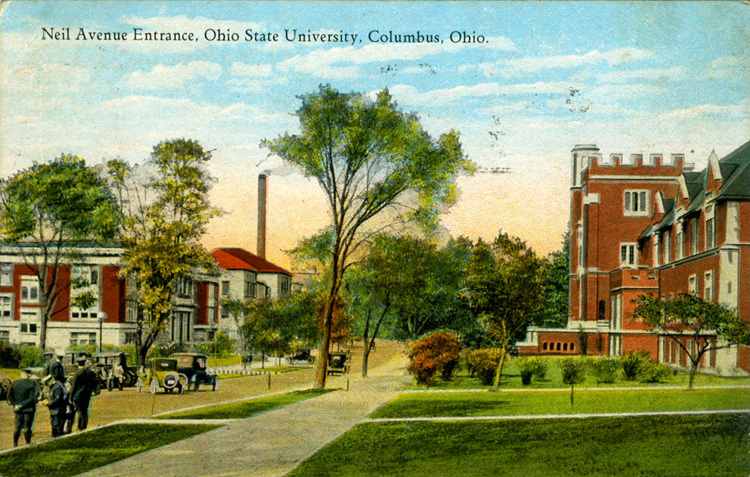 Opened to its first students in 1905. Wings were built later. Building has been home to the Geology Dept. for many decades now. 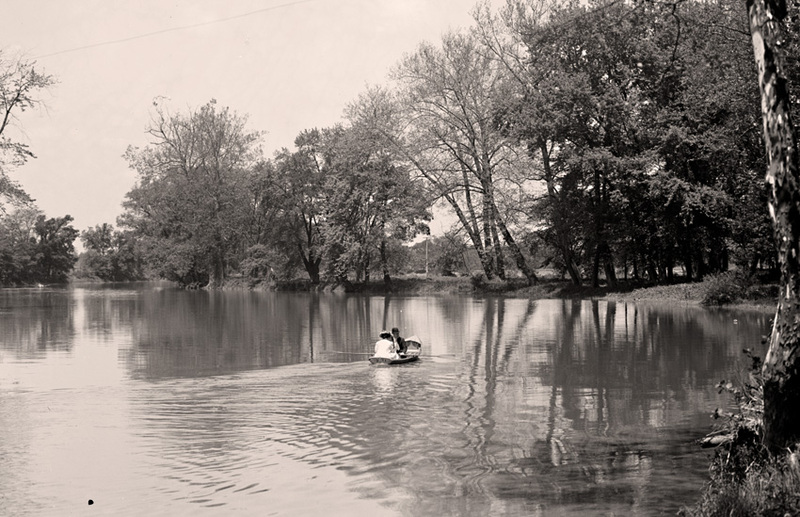 C. 1910 Detroit Publishing Company photo of couple boating on The Olentangy River. Neil Ave., looking north from around W. 12th Ave., c. 1925. New Pomerene Hall on the right. Campbell and Lazenby Halls, and the smokestack of the power plant on the left. Four police officers at lower left seem to be busy. Cars near them seem disordered. Auto accident aftermath? 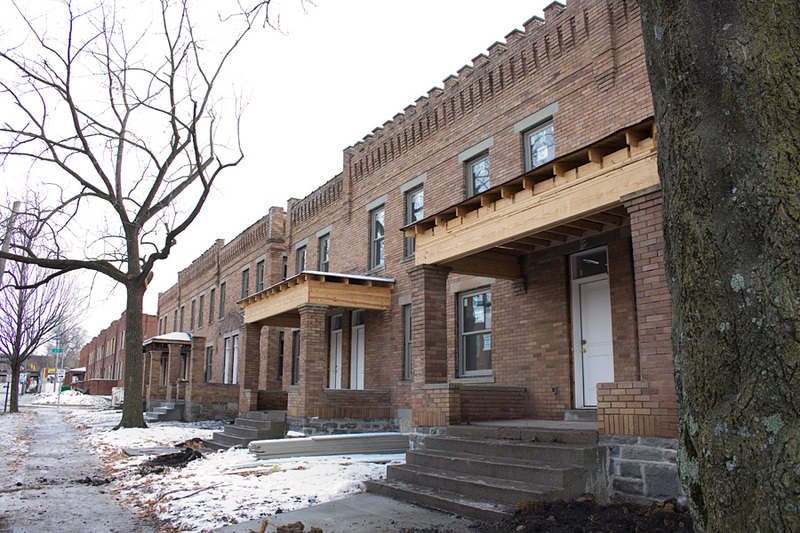 November 11, 2014- Early 20th Century rowhouses and duplexes on E. 11th under renovation. 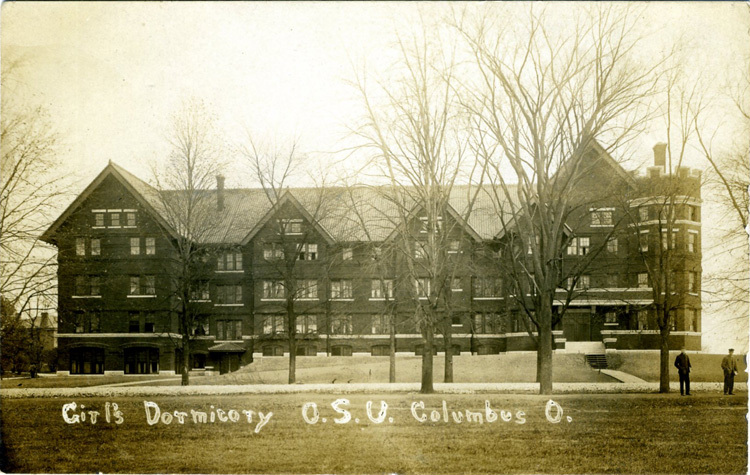 Real Photo Postcard of Oxley Hall, 1712 Neil Ave., around 1910. 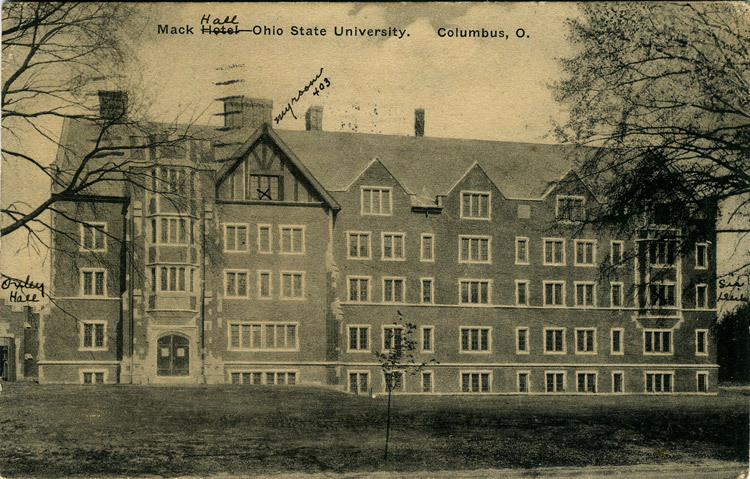 Oxley Hall opened in September 1908 as the Girls’ Dormitory for Ohio State. The hall was named in honor of President William Oxley Thompson’s mother. It has continued in service to the present day. Oxley currently houses Ohio State’s Department of Linguistics and Office of International Affairs. 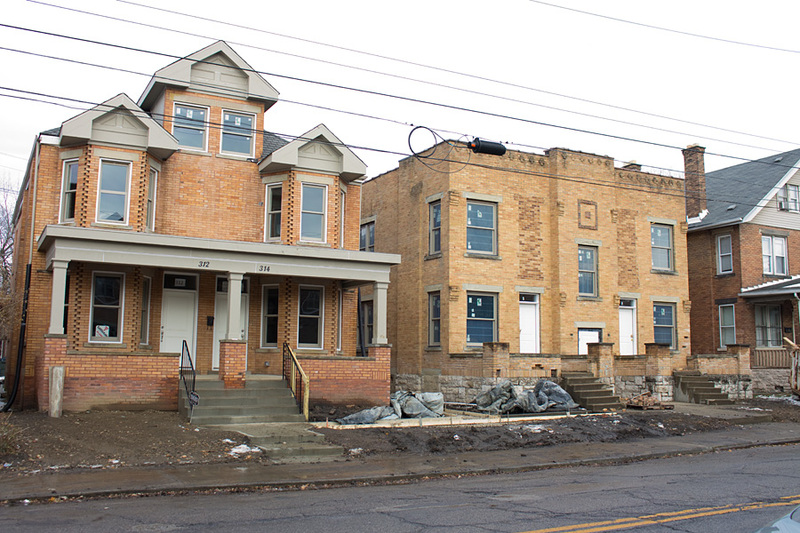 November 11, 2014- Badly neglected early 20th Century rowhouses on E. 11th under renovation. 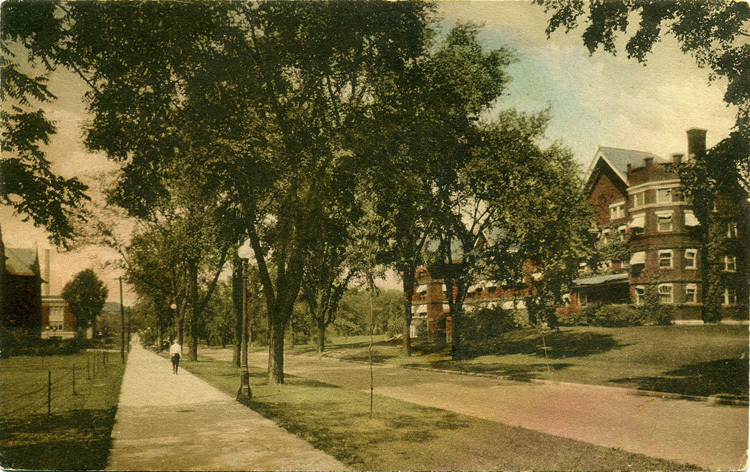 Neil Ave. view, c. 1910. Oxley Hall on the right. Much narrower street back then.